IQS Directory provides an extensive list of titanium alloy manufacturers and suppliers. Utilize our website to review and source titanium alloy manufacturers with our easy-to-use features which allow you to locate titanium alloy companies that will design, engineer, and manufacture titanium alloys for your exact specifications. Our request for quote forms make it easy to connect with leading titanium alloy manufacturers. View company profiles, website links, locations, phone number, product videos, customer reviews, product specific news articles and other production information. We are a leading manufacturer directory who will connect you with the right manufacturers whether you are looking for titanium zirconium alloys, titanium carbon alloys, or titanium columbium alloy. When it comes to titanium alloys we are your premier source! Since we first opened our doors in 1979 we have been committed to excellence in all we do. Working from our 24,000 square foot manufacturing space we have been offering exceptional products and services since our beginning; a tradition that we strive to uphold long into the future! Visit our website today to learn more about what we may be able to do for you! Titanium alloys are just that, alloys composed primarily of titanium, along with several other metal materials. In turn, alloys are sort of hybrid materials that are made up of more than one substance. The goal of creating an alloy is to slightly alter the properties of each individual component and thus retain and/or enhance the best qualities of each. Titanium alloys are quite popular because they are easier to process than pure titanium, which, though not dense, is extremely hard. Usually, to make processing and fabrication easier, titanium is alloyed with material combinations such as aluminum and iron, tin and vanadium, manganese or molybdenum. These materials can also help enhance titanium’s natural strength, heat resistance and/or corrosion resistance, though titanium already has these properties in spades. Titanium alloys are used in the production of a myriad of different products, including: exhaust systems, jet engines, bicycles, missiles, spacecrafts, paint, plastics and valve springs. Some of the numerous industries in which titanium alloy products are used include: aerospace, aquarium, automotive, desalinization, electronics, jewelry manufacturing, military and defense, power generation and shipping. Titanium alloy manufacturers are able to cater to such a wide range of consumer and industry needs because titanium alloys are available in many different grades, all of which offer slightly different qualities. Aluminum titanium alloys, for example, are stronger and finer than both aluminum and titanium alone. In addition, titanium steel is both more corrosion resistant and more lightweight than regular steel. Manufacturers are additionally able to cater to a wide variety of consumer and industry needs because they are able to use many different types of forming methods to create their products. Methods with which they form titanium alloy products include, but are not necessarily limited to: casting, cold forming, extrusion, flat rolling, forging, hot forming, machining, spinning and welding. These methods may be used alone or in conjunction with one another. 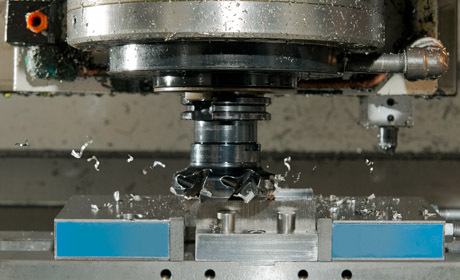 Before titanium alloys are turned into parts and products, the alloys themselves must be made. To do so, manufacturers most often begin with a powdered or melted form of titanium, to which they add precise amounts of other metallic powders or liquids. Once they have the desired mixture, they melt it together and then press or cast it into a mold or die. In this case, the mold is always in the form of a stock shape, used to make stock products such as bars, slabs, foil, rods, profiles, strips, tubing, shims, sheets, plates and wire. Stock shapes such as these allow for ease of warehouse management and shipping and transportation to manufacturers. When putting together a titanium alloy product, the first and most important thing that manufacturers must consider is the alloy grade. The grade of a titanium alloy is calculated as a regulated measurement of the qualities of both pure and alloyed titanium, and is ultimately determined by the application for which the titanium alloy is to be used. Titanium alloy grades one through five are unalloyed altogether, while grades six through thirty-eight contain ratios of other metals and elements. The most common of all these titanium alloys is grade five, which is also known as Titanium 6AL-4V. Grade five titanium alloy is 90% titanium, 6% aluminum and 4% vanadium. In addition to the primary titanium alloy grades, to further clarify their specific respective properties, titanium alloys can be grouped into structural based groupings known as alpha titanium, alpha beta titanium and beta titanium. Alpha titanium alloys only contain a neutral alloying component, such as tin, and/or one or more alpha stabilizer, such as oxygen or aluminum. They are not heat treatable. Alpha beta titanium alloys, on the other hand, typically include some form of both alpha and beta stabilizers. They are metastable and heat treatable. Finally, beta titanium alloys contain a significant enough ratio of beta stabilizers (such as vanadium, silicon and/or molybdenum) that they can remain in the beta phase even when quenched, and they can also be solution treated and aged for strength. In addition, they are metastable. Beta titanium alloys may also include varying amounts of zirconium, niobium, manganese, tantalum, iron, cobalt, chromium, copper and/or nickel. To learn more about titanium alloys and titanium alloy products, get in touch with a knowledgeable alloy specialist. Not sure where to start? No worries! IQS has laid out an entire page dedicated to information regarding the excellent metal alloy manufacturers and suppliers with whom we partner. Scroll up near the top of this page to find their respective contact information, company profiles and websites.